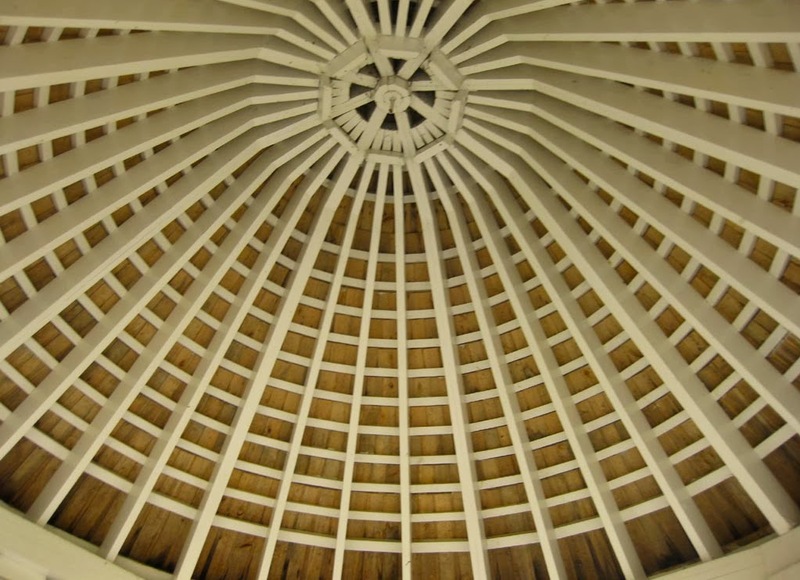 At the time when I started this blog, I wrote a few posts about the wonderful wooden architecture of Russia. Large manor houses, churches and villages are all part of a great tradition which is not well-known in the West, but includes both very classical buildings, and those inspired by vernacular architecture. Rear view. Picture by Wikicommons. 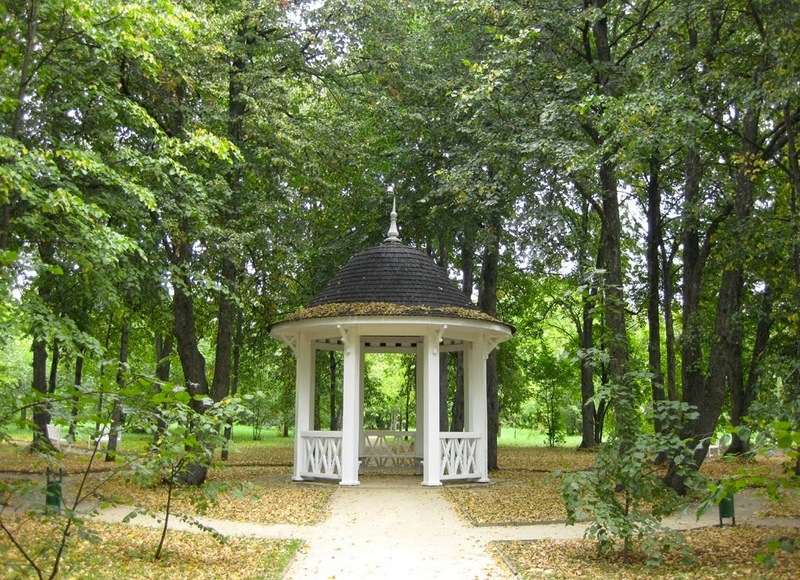 The example of the day is the elegant and charming estate of Tarkhany, which was constructed around 1800 in the region of Penza Oblast, in Western Russia. Currently a working museum, the manor house and the surroundings were originally a family residence, containing such necessities as a church, fish ponds, fruit gardens, a domed garden pavilion, avuenues of lime trees, several cottages for the workers, and a mausoleum. 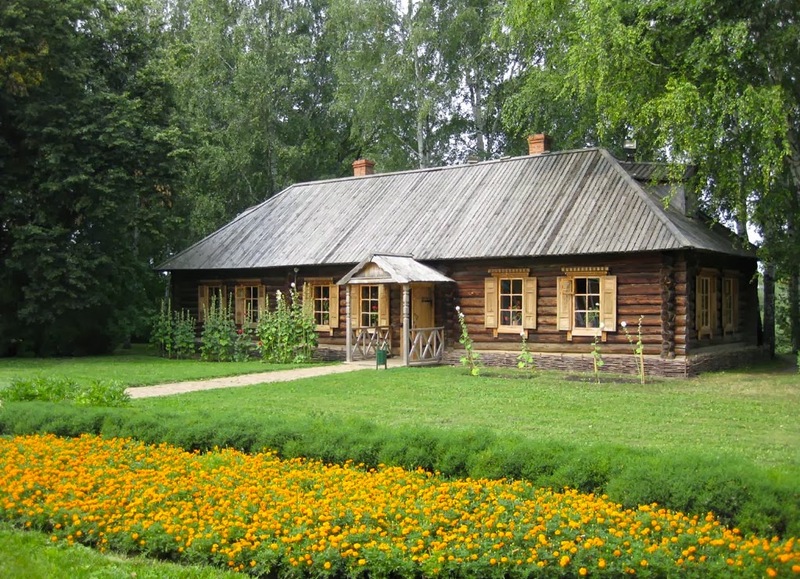 Tarkhany was also the home of the famous Russian poet Lermontov, and the museum still contains many of his belongings in the period furnished rooms of the houses.